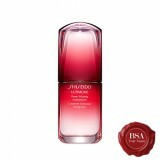 Having started out as a pharmacy, it wasn’t until 1915 that Shiseido changed direction and committed to the cosmetics industry. The move was masterminded by Shinzo Fukuhara, the third son of Arinobu Fukuhara and the company’s first president. 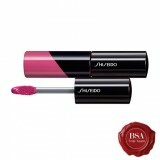 An experienced photographer, Shinzo Fukuhara combined artistry with high quality manufacturing, underpinned by the very latest in research and development, to establish Shiseido as a unique presence in the cosmetics industry. This brand has been discontinued in South Africa. A light liquid foundation that blends seamlessly to instantly erase conspicuous pores, acne scars, and skin roughness for perfectly even, long-lasting coverage. Minimizes shine while optimizing the moisture balance of the skin. 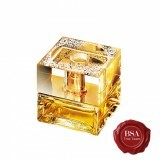 Offers an exquisitely smooth, refined finish for 15 beautiful hours. All-day true colour. Silky-smooth finish. Beautiful, shiny colour with just one stroke. Create a multi-dimensional look with blush and highlighters to add depth and glowing radiance. An oil-free bronzing powder that provides an all-day, air-brushed finish. Creates a natural, radiant sun-kissed look. Formulated with Soft Airy Powder for a perfectly even, natural finish. 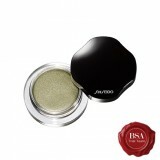 A lightweight cream eye shadow with a radiant, lustrous finish that maintains a just-applied fresh look for 16 hours without smudging or creasing. Applies easily with your fingertip for a smooth, even finish. Hydrates skin with Super Hydro-Wrap Vitalizing DE.